Do you Need Flowers for your Office? Pick-Me Flowers can provide beautiful flowers for your reception, boardroom or shopfront. A Floral Display for your reception provides a warm welcome and stylish entrance to present your business in its best light. Flowers and living plants have had proven health and well-being benefits for your team members. From the influence of colour and style to make them feel good, to healthy air live plants, to interesting conversations sparked by the floral designs, there are many benefits to add florals to your work environment, as well as a grand entrance to impress your visitors. Set up a weekly contract for florals for your business and you will get a FREE consultation, FREE Vase hire ... and FREE DELIVERY weekly on the North Shore. 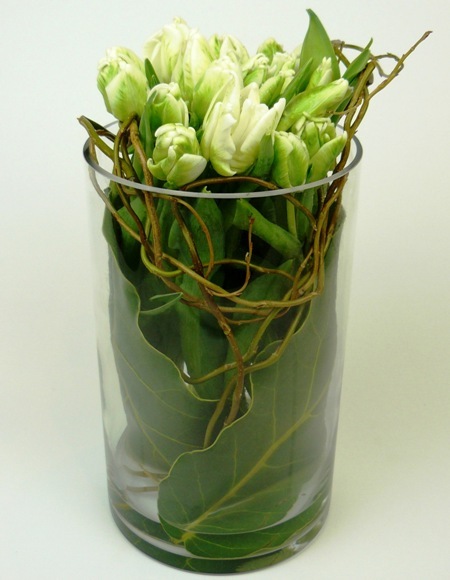 Prices start from $89 per week for a stylish floral design - Delivered FREE to your Office or Store. Want to Send Flowers on behalf of your Business? You need to send flowers with the right impression from your business, whether its for a Sympathy occasion, a new baby, Congratulations or as a business goodwill gesture to clients or staff. PickMe can take care of this for you. We have daily Floral Couriers who service Auckland wide. Your gift will be professionally presented in one of our black and white signature PickMe carry bags. Yes - You are able to have a monthly account for your flowers.